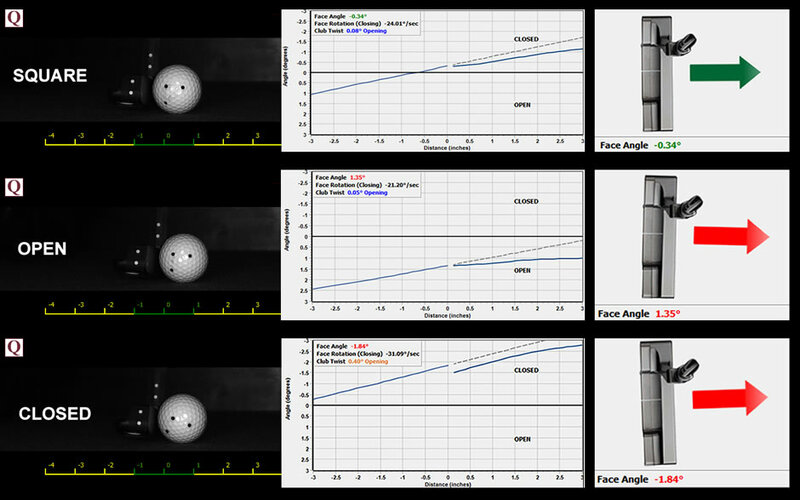 Face Angle at IMPACT accounts for upto 90—92% of the start direction of the golf ball (centre strike with a two degree dynamic loft at impact). The question, then, is how does this translate into making or missing putts? There are only three conditions that can occur at impact of putter on ball. 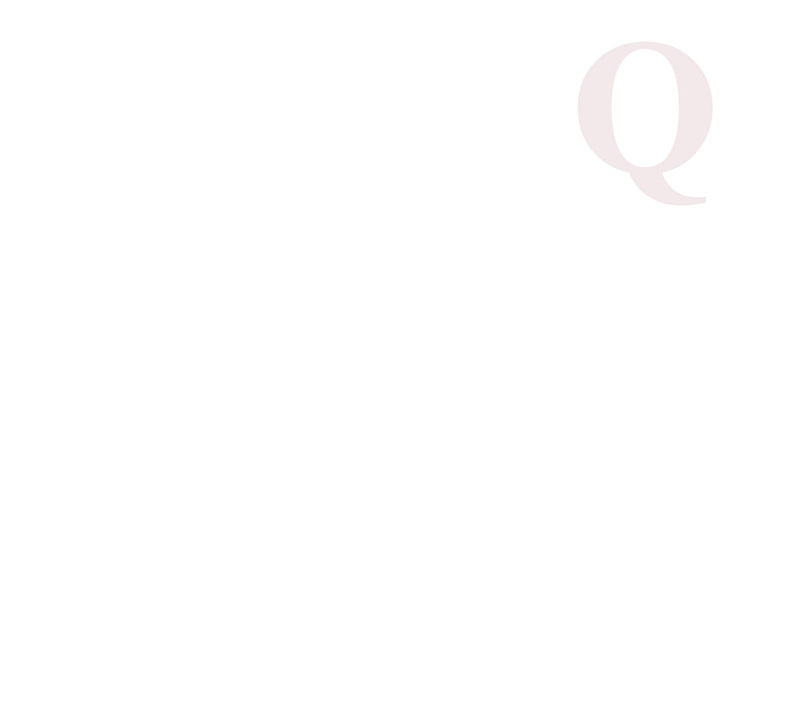 The face of the putter is either open or square or closed to the putter's path. But how many variations of face angles and paths can make up these three conditions...countless. 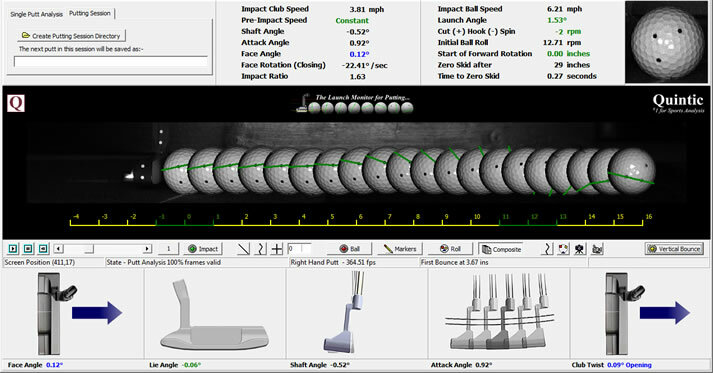 Yet, crucially, the putter's face angle is by far the largest contributing factor for start direction. A putter face that is 2 degrees open at impact will miss the hole from 5 feet! For a putt to go in at 8 feet the angle of the face needs to less than 1 degree open or closed. Increase the distance to 15 feet and the putter face needs to less than 0.5 of a degree open or closed. Can you tell the difference between 1 degree closed or open to your target line? Putter style, shape and colour are vital! Quintic Ball Roll displays the Face Angle both numerically and graphically, colour coded in order to provide instant feedback to the user.